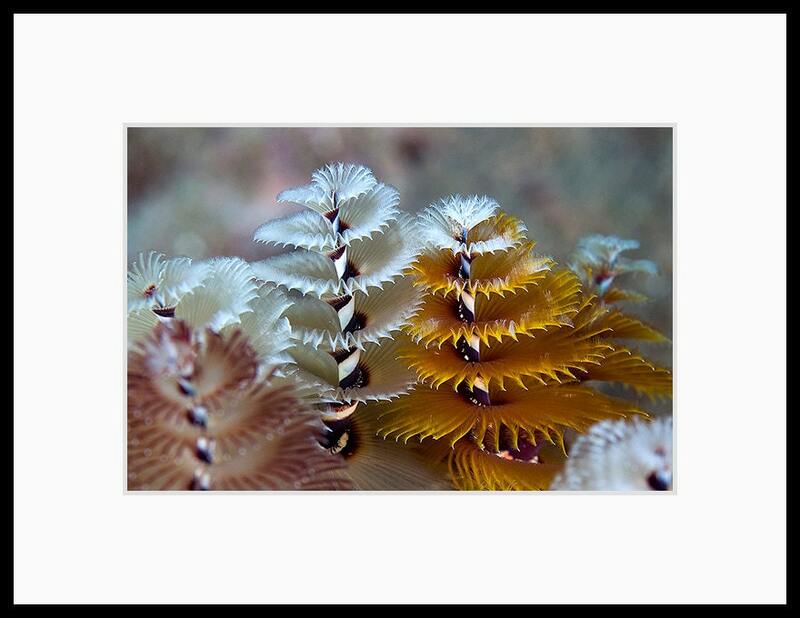 Tropical decor underwater photograph of several Christmas Tree Worms with showing their beautiful multicolored spiral patterns. 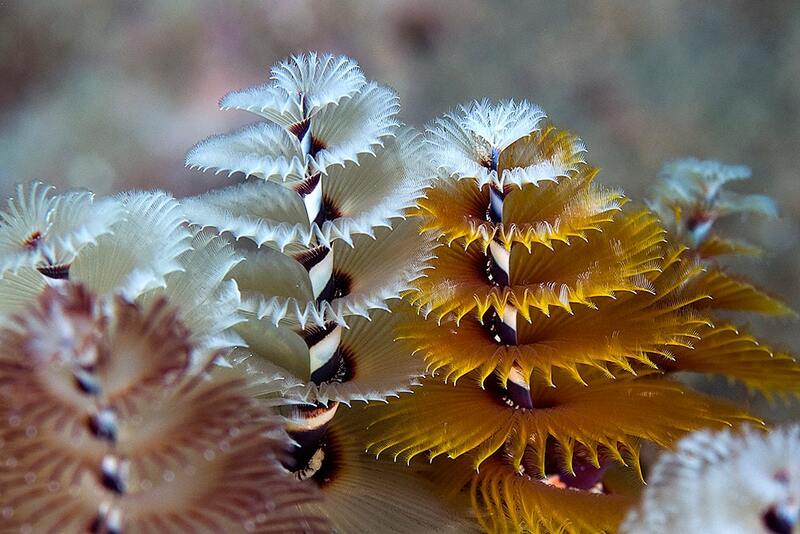 Photographed while I was scuba diving in the Caribbean. Everyone loves options! Use the dropdown menu to select a print type and size when you check out. Your print is lovingly made in a professional lab using high quality materials. Made with Kodak Endura archival photo paper rated to last 100 years in home display. Ready to ship in 3-5 business days. Image is infused into the surface of a solid sheet of metal which results in a rich iridescent sheen and bright vivid colors. Default surface finish is glossy - if reflections will be an issue, specify satin finish in notes to seller at checkout. Floating mount suspends the print half an inch from the wall. Ready to ship in 3-5 business days. All images © Terence Zahner, all rights reserved. I accept Etsy Direct Checkout, Etsy gift cards, and PayPal. Orders typically ship in 3-5 days. Acrylic prints typically ship in 3 weeks. Prints are shipped flat in a rigid mailer whenever possible. Larger standard prints are shipped rolled in a rigid tube. Orders within the United States ship via USPS First Class or Priority Mail with Delivery Confirmation. Your Etsy shipping notification will include a tracking number. Orders outside the United States ship via USPS First Class International. Your Etsy shipping notification will include a customs form number that can be used for limited tracking. In the unlikely event that your print is damaged during shipping, I will arrange for a replacement immediately. If you decide to return a print, please do so with 14 days. You have the option of a refund or exchange for a different print. Custom crop prints cannot be returned. Thank you I love this photo, and great packaging so it came flat.